It was early 2016, and Hillary Clinton had just secured the Democratic nomination after a bruising battle with Senator Bernie Sanders. It was then she had to pick a running mate – her Vice Presidential pick. At that point, her chief campaign manager, John Podesta emailed her with a list of probable Vice Presidential nominees. In an email released by Wikileaks, Podesta lays out the names of several people Hillary Clinton would consider for Vice President. It mentions Tim Kaine, the man who eventually became her Vice President pick. But there is also a whole list of interesting businesspeople that the Clinton camp considered for the Vice Presidency. In the list is Tim Cook, the current CEO of Apple. Cook hasn’t been known to be politically active, but given he lives in California, he’s likely to lean Democrat. On the list was another Silicon Valley star – Bill Gates. For good measure, his wife, Melinda also made it to the list. Bill and Melinda are currently actively involved in charity efforts through the Bill and Melinda Gates Foundation. A good number of CEOs were also present, including Xerox CEO Ursula Burns, Coca Cola Chairman Muthar Kent, and Starbucks CEO Howard Schultz. There’s probably good reason why Clinton was considering businessmen for the Vice President role. At that point, she knew that it was likely she’d run against Donald Trump, who’d repeatedly stressed on his business expertise as his credentials to be a President. By picking a successful businessman as her Vice President, Clinton could’ve maintained that her ticket had business experience too, thereby blunting one of Trump’s main talking points. But as it turns out, Clinton went with a tried and tested politician in Tim Kaine. 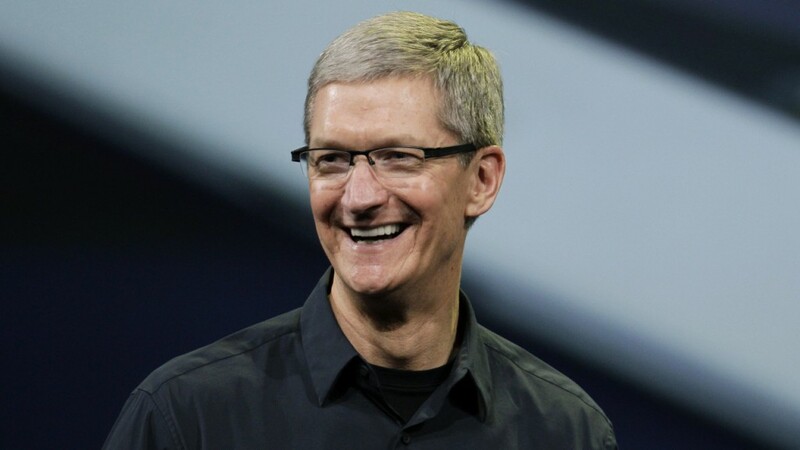 Which makes us wonder what a Tim Cook Vice Presidency would’ve been like. With the mudslinging on both sides that’s marked this election, maybe some of Apple’s trademark elegance could’ve come in handy.